Photography with Fuji & Canon Cameras – " Capturing Moments in Time "
Is an old camera cost effective? Fuji HS20 – Experimenting with lowlight. Select the editor and an image. 2 – Batch Editing … Selecting filters. 4 – Batch Editing … Convert and Save. Photoscape 3.7 .. using the Clone Stamp & Blur tools. Why Buy A Superzoom Camera? When there’s a camera in every pocket ( think mobile phone) why would anyone want a Superzoom style camera? For those of us who have a passion/profession for photography the Superzoom range of cameras brings a range of features together in the one format. This is the whole point of a Bridge Camera, to offer the user an alternative to the DSLR format but with the styling and functionality of the DSLR. Essentially the idea was and still is to provide an all in one solution that gives all the functionality and IQ of an entry level DSLR in one package, complete with an excellent set of optics. There are now several manufacturers chasing this particular goal as they recognize that a good many people are in the market for a high grade all in one camera solution. We see the same type of marketing when we view the quality range compacts with Fuji’s two new entries, as well as offerings from Samsung, Sony, Leica, Canon to name but a few. Recently Fuji announced its new ‘X” series cameras. 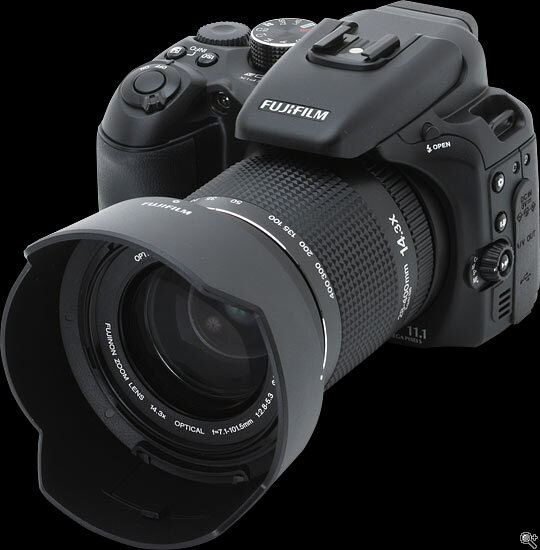 There is a whole new range of cameras now being offered to the market including a new generation of mirror-less interchangle lens camera ( similar perhaps to the Sony SLT models ) but squarely poised to bring Fuji back into the DSLR realm again. I for one hope they do. The Fuji S5 & S3 pro cameras were legendary units. Based on Nikon bodies with Fuji’s fit-out these cameras did and still do provide excellent images. So where does that leave us at the moment? After having owned the Fuji HS10 and shot over 9000 images with it and now the owner of the HS20EXR, shot count is now over 5500, I’m happy with what I have up to a point. The HS20 was a very big improvement over the HS10 which was obviously the test model for the design direction of future Fuji bridge-cams. This is born out with the change in sensor type and functionality of the Cmos-EXR sensor, used in the HS20. If you were to ask which had the best IQ of the two HS series cameras I would have to say that the HS10 lens to me has always seemed that little bit crisper. This may in part be simply that the newer sensor in the HS20, as others have said, is more directed at low light imagery improvement with a slight trade off in image crispness. Thats why I almost always shoot the HS20 in EXR Resolution Priority mode. The IQ crispness is definitely better for what I shoot. I then post process the images as necessary. By way of improvement in the HS series there are really only a few things that would need to be changed to take this camera from “very good” to “stellar” performance. Faster AF. While better in the HS20 its still not good enough. Faster write times, improved in the HS20 but room for improvement. Greatly improved EVF. Simply not good enough at this level of camera. Expand Ev control to +3.0 to -3.0, this has always been too limiting at Ev 2.0 to -20. Be able to have Noise Reduction set to off when required. Improved video performance when panning & focus speed. These are the six main items that I feel are in need of greatest improvement from the HS20 specifications. Hopefully these issues will be dealt to in the new generation bridgecam the X-S1. With a 2/3 Cmos EXR sensor as found in the Fuji X10 this should result in high quality imagery. 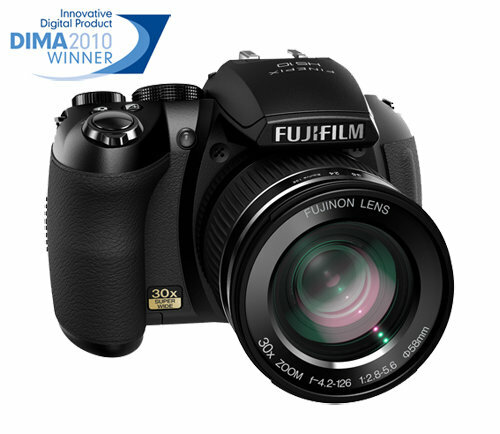 Coupled with good noise control and IQ Fuji may well find themselves in a good place in the market. While I dont ordinarily like to change the equipment I own and use on a yearly basis, I have had to do so recently. If the X-S1 lives up to the expectations we have for it I may have a tool that will perform well for some time. This new offering from Fuji may well be close to what I have always wanted from a bridge camera. High quality imagery in an all in one package. The one killer item for me in bridge cameras has always been the manual zoom. Its the one thing that makes the Fuji’s stand out from its competitors. Having owned SLR’s and used DSLR’s to have to give up a manual zoom is just not something I would want to consider. So if you are currently in the market or about to become so, you may want to hold off on buying that new unit until early 2012 when the new cameras come on-stream. If the IQ is anywhere near as good as the preliminary images are from the Fuji X10 then we will have a camera hopefully able to at least compete at the same level as our entry level DSLR’s. Now that really would be something. Based upon the early results from the X10, the sensor looks like a really good one. This could bode very well for super-zoom enthusiasts and the X-S1. I would expect the camera to be larger and heavier then the HS10/HS20 series cameras and therefor larger and heavier then most other Super-zooms. But this can be a good thing. The idea of an all in one superzoom is to not have to carry around an entire kit with multiple lenses. The trade off has always been the reduced image quality. The X-S1 I suspect will either be a great and very popular camera or one of Fuji’s great ideas compromised in silly little ways to save a few cents. I am hoping for the first option. Will be watching it closely. Heck for that matter I would love to be a covert tester for Fuji if they are listening. I have been in the market for another camera of late. I have had my eye on the Pentax Kr twin lens kit. 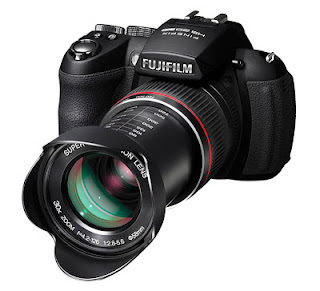 At around $1100.00NZ its very well priced as an intermediate DSLR. Then Fuji announced the new X series and the imminent arrival of a interchangeable lens camera, think DSLR style, and now I have to decide as to whether I wait or still go the Pentax way. I have always liked the superzoom / bridgecam idea, and so far the HS20 is the closest to that. We now know the sensor in the x10 is a very good one so if Fuji are able to couple very fast AF with a great lens, they will have a potential winner on their hands. But Fuji being Fuji they are also subject to the odd brain fart and what they come out with could have been great but is only good. Pretty much along the lines of what they did with HS10. I’m really tempted to get the new Pentax but the thought of the X-S1 is now weighing into the argument. I wish we had a better idea of the production timeline and release dates. I guess we just have to wait. This comment was sent in by Martin from Australia. Cheers Martin. I’m happy to be of service. I dont know whats up with the comments link, perhaps Google was doing up update. I just found your interesting website “A Kiwi Retrospective” dealing mainly with Fuji. I did try to add my pennies worth to the “why buy a superzoom” but I don’t know if I succeeded getting though. I just enter here what I wrote, perhaps you can tell me how to enter this onto your appropriate page, but if you think my comment was rubbish anyway just bin it. firstly an admission – I am neither a Kiwi, nor a Fujifilm camera owner. However since I am very interested in the new X-S1 I thought to give a small account why I am an interested possible buyer of the new X-S1. I am an advanced hobbyist and use presently a Nikon D-200, although it is by now outdated, I do like it and it gives the results I am aiming for – but with all the lenses it weighs slightly less than a ton! In the very beginning of my digital camera affair I got a very nice Panasonic FZ30, it had a lovely manual lens but was generally very slow in the picture taking process, and the Electronic View Finder was not the best. Unfortunately this series by Panasonic was soon replaced with an all motorised zoom which turned me off the prospect of updating the camera – hence getting a Nikon instead. I thought my dream had come true with Fujifilm’s HS10 – I would have loved it but it had the same poor Viewfinder as my old Pana. 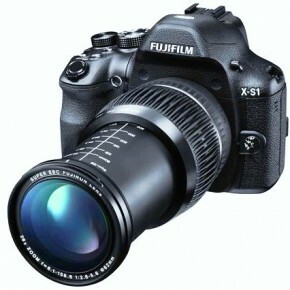 I think my prayers have been answered with the introduction of the X-S1. It even has a bigger sensor thrown into the bargain. I have read in many forums the comments asking why buy a bridge camera for almost the same price as a D-SLR!” Some comments went even so far as calling bridge camera buyers as stupid. As far as I have seen, there is not one Camera with a 24mm lens going up to 600plus, matching the quality of the X-S1 (even so we don’t have the evidence of this quality statement as jet) At least on paper the EVF of the X-S1 seems to be a good one. The lens specifications look promising as well as the response-time, and the weight factor of the X-S1 make a terrific package. It has a high price which will come down somewhat in time (I hope) For me those advantages will outweigh for me the disadvantage of a still relative small sensor compared to a D-SLR. And there in lies the rub. My main concern with the X-S1 is that Fuji will price it too high and scare off potential buyer, driving them into the DSLR market. There are some reasonable 18-250 or 18- 300 lenses about that would make a good all purpose setup. Even some of the newer 18-200mm lenses would do and a spot of cropping. I like the all in one bridge cam concept but they need to keep the pricing under control. If comparing weight is an issue, as it is with me I’ll stick with the HS20 or HS30 any day over the massive weight of the X-S1. I’ll wait for the X-S2 which will probably half the weight from the use of carbon fiber or titanium. In the mean time I’ll make do with my HS20 rather than hang nearly a kilo of camera around my neck. The whole point of using a bridge camera is convenience. With the weight of the X-S1 an issue you might as well invest in a decent DSLR. Yep Anon, I agree,the weight is a significant factor with the X-S1. There are times when even the HS20 gets a little weighty around the neck, so the idea of a kilo isn’t too pleasing, no doubt Fuji would tell us that is the trade off for having a larger more refined lens. And to a certain degree that would be right, bigger sensors require bigger lenses and there are DSLR that dont weight this much. I’m a little surprised that they havn’t elected to use the same type of materials as the other X series cameras. Featured Video … Print those photos people!! More info to help clear up printing images myths. Photography with Fuji & Canon Cameras - " Capturing Moments in Time "